We were again at the Musee du Louvre in the 1st Arrondissement of Paris, when we took these high definition photos showing a statue called L'Industrie, which was sculpted by Anatole Calmels. 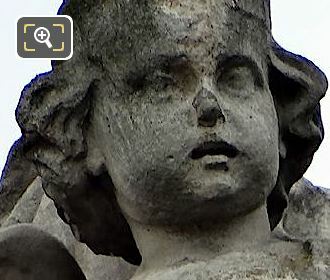 This first HD photo shows the statue called L'Industrie, which is an allegorical statue with a young winged mythical child depicting Industry, that was produced in stone and placed on the Aile en retour Mollien of the former Palais du Louvre back in 1857. 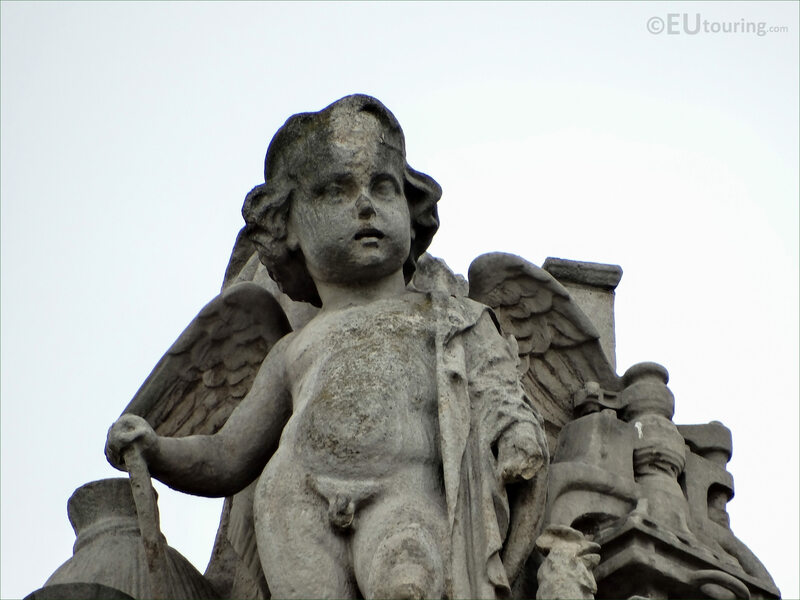 You will find that L'Industrie statue was produced by Anatole Calmels who was born in Paris in 1822 with a full name of Celestin Anatole Calmels and studied at the Ecole des Beaux Arts to become a French sculptor and started presenting works at the Salons from the 1840s. 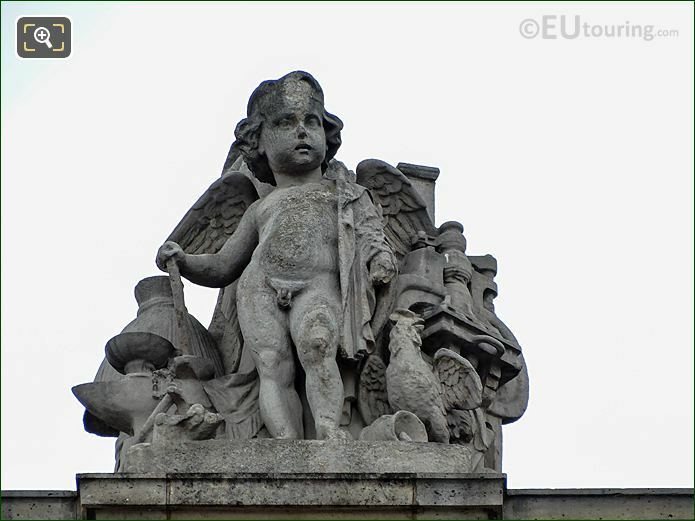 Anatole Calmels worked on statues for several different churches and received three different orders for The Louvre, with this statue of Industry being one of them, but in the 1860s he moved to Portugal, which is where he continued his work before retiring and passing away in 1906. 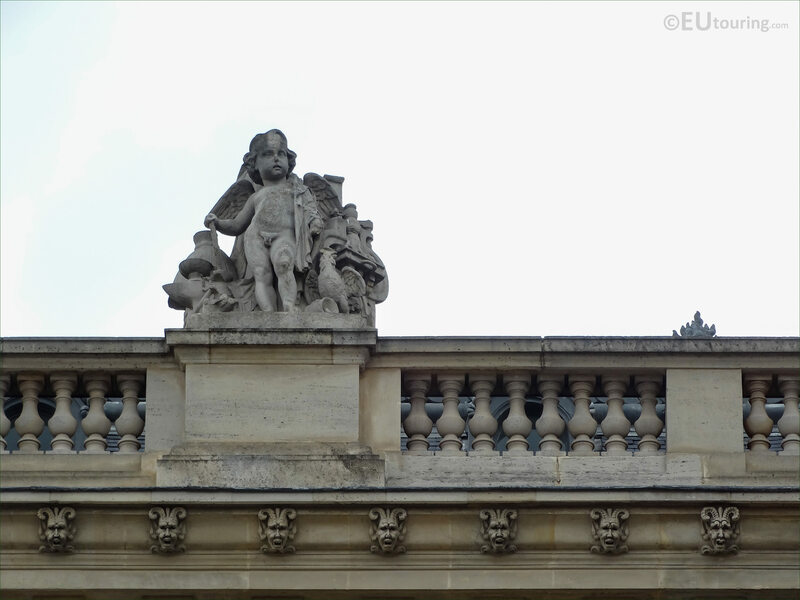 Yet this image shows the location of the Industry statue positioned on a balustrade by the roof line of the Aile en retour Mollien, and when you are looking at this facade from the Cour du Carrousel, which faces in a westerly direction, you will find this is positioned fourth from the left hand side on this wing of the Louvre Museum.